← Today’s Art: High Five! 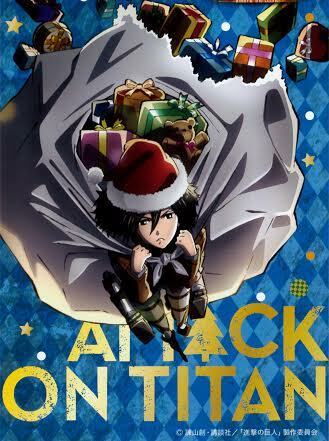 If you pay much attention to anime, then you’ve probably at least heard of the big hit this past year, Attack on Titan. It’s an intense, action packed series with creepy monsters, daring heroes and grotesque battles. How better to welcome in the holiday season? Time for a mashup! This is almost as cool as the Evangelion Christmas Cake we had a couple years back. Oh, and this isn’t fanart–these were officially released at Lawson’s across Japan. How crazy are these? 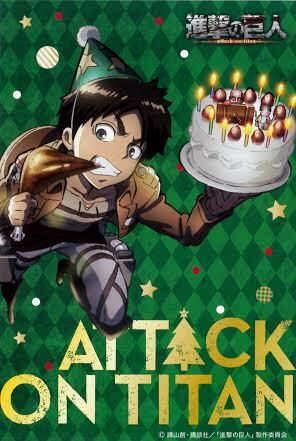 Nothing says festive like fried chicken, Japanese Christmas Cake, and flying through the air on your 3d Maneuver Gear. Oh, and death and destruction. Lots of that. Don’t forget a tiny Colossal Titan on your cake! 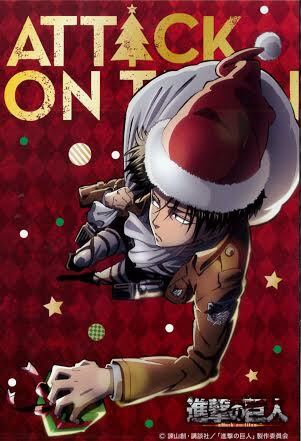 This entry was posted in Anime and tagged aot, armin, attack on titan, cake, chicken, christmas, Christmas cake, colossal titan, erin, 進撃の巨人, festive, fried chicken, happy holidays, Japan, Japanese, Japanese Christmas, lawson, Lawson's, levi, mikasa, presents, shingeki, shingeki no kyojin, titan. Bookmark the permalink. 3 Responses to Attack on Christmas!